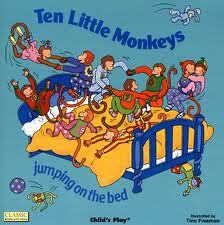 Ten Little Monkeys Jumping on the Bed. By Annie Kuber. Illus. by Tina Freeman. 2001. 16p. Childs Play Inl. Ltd, (97880859537988). Gr. preschool-K. 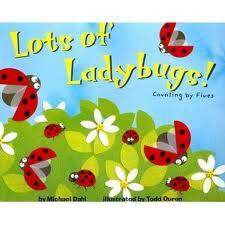 This book comes in editions for babies to the classroom-age children. This traditional and popular rhyme is used to help children with counting backward from ten, ordinal positioning, one-to-one correspondence, numeral identification and set comparison. 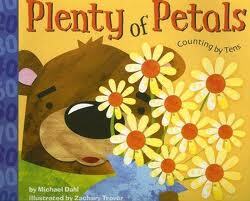 Plenty of Petals: Counting by Tens (Know Your Numbers). by Michael Dahl. Illus. by Zachary Trover. 2006. 24p. Picture Window Books, (9781404819238). Gr. preschool-1. Bright and colorful illustrations of daisies in a vase engage children in the learning of counting by tens. 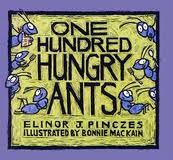 One Hundred Hungry Ants. by Elinor J. Pinczes. Illus. by Bonnie Mackain. 1999. 32p. Sandpiper, (9780395971239). Gr. K-2. This book has infinite possibilities for teaching math concepts to young elementary grade students. The concept of one hundred to the concept of fractions (halves, fourths, tenths) is covered in this whimsical story. 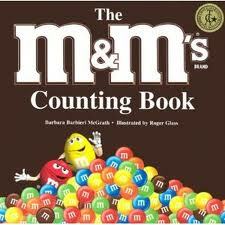 The M&M's Counting Book. by Barbara Barbieri McGrath. Illus. by Roger Glass. 2002. 32p. Charlesbridge Publishing, (9781570913686). Gr. preschool-2. This book uses a familiar treat to get kids counting, grouping, adding and subtracting (among other things!). As an incentive for students to learn, this book offers an effective anticipatory lesson and/or closure to the Number Sense strand in the VA SOLS.